They, being the City of College Station Planning commission, released the list of new things coming to town! Great Oaks Phase 1A: Still stuck in Phase 1A, Great Oaks is adding three new homes. The reason it's still in 1A was an ambitious (and evil) plan to map out that entire area with high-density townhomes and dump traffic into nearby neighborhoods (instead of major streets). The Barracks II: Apparently The Barracks is going back all the way to Haupt Road. Wolfies: Another chain restaurant. Anyone heard of this place? Old Arrington Road: Abandonment! It looks like that that torn-up section may get the axe. Cottages of College Station: 3.5 acres? 3400 Market Street? Looks like that mysterious unmarked area to the northwest of their plan will be retail after all! They even referred it as "Market Street", like the original Holleman extension PDF (from early 2009, no less) referred it as! Texas A&M University Dining used to be great: there's dozens of cool places to eat: there's a Chick-fil-A in the Underground food court, the all-you-can-eat offerings at Sbisa, the baked goods and coffee at Poor Yorick's Coffeehouse in the library, and dozens of others. There's even a few full "Rattler's" convenience stores that offer a wide selection of slightly overpriced, delciously unhealthy goodies. Of course, since the Compass takeover, all these have deteriorated, but it's still edible. However, at Blinn, where I spent three semesters, that was not the case. There were exactly four (later five) places where you could get any food at all: there was the lobby of the library, where there were vending machines, a college bookstore that had a small selection of convenience items, and two no-name places in the Student Center: "Clux Delux" and "Block & Barrel". These establishments claim to provide a healthy alternative to fast food. 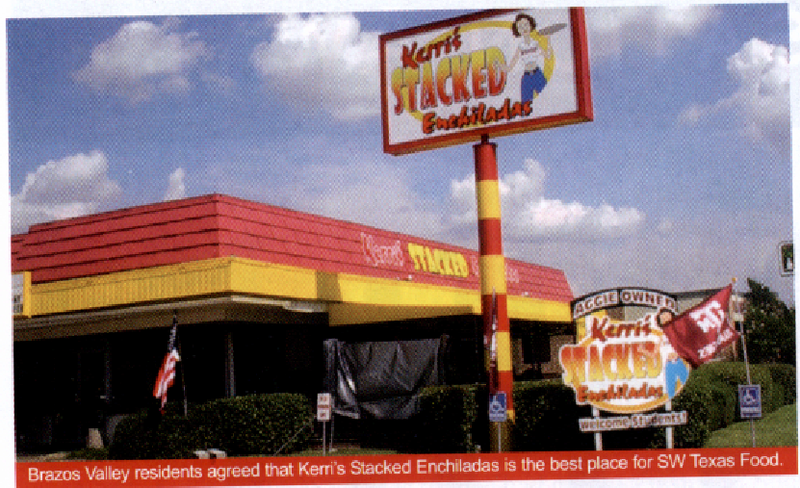 A&M offers healthy alternatives to fast food, these places provided alternatives to edible food. Block & Barrel claimed to be a "deli", but all they had was pre-packaged sandwiches made at an unknown time and wrapped in plastic. These were soggy. There were also pre-packaged items that could be microwaved in-house, but they weren't very good either. Clux Delux was even worse. Although the franchise made it look a bit like a poor man's Chick-fil-A, but it wasn't. It was cafeteria food, sitting under heat lamps, which gave it a very unappealing look. And this wasn't cheap, either: $6.50 got you chips and a drink, but it wasn't worth it at all. Later on, "Maui Wowi" opened, and offered smoothies and coffee. It was name-brand, but didn't offer that much besides smoothies and coffee. The other option was a food truck that came on certain times, on certain days of the week. While they are award winning and have awesome food, they're way too expensive and come at too odd a time to be a reliable lunch option. Unsurprisingly, most people never ate lunch at Blinn, with people only going to the places because they were desperate. But I remember, way back when Blinn was opening the Student Center building, it had real food, one of which was a Taco Bell (I suspect the other was a Yum! Brands restaurant). Indeed, underneath the cheap banners of CD and B&B, you could see holes drilled in where the restaurant signs once were. So, if you're going to Blinn, whether a Blinn student or a Texas A&M student, I suggest you avoid any classes near lunchtime at Blinn. Kerri's in better days. Sorry for the terrible scan and image quality, but this is what I have. Back in 2012, instead of publishing articles on individual businesses, I made the wrong idea of dumping several restaurants into a single post called "Tales of Defunct Restaurants", which became a series. Initially, this contained a variety of other restaurants now covered elsewhere, namely Tuscany's, Yum Yums Texas Style, and Fort Shiloh Steakhouse, explaining the discrepancy in the comments below.I did update the post a few times since (though when I did that is lost to time) to add a picture of, and expand on, the restaurant that was last in the original building before Raising Cane's took it over...Kerri's Stacked Enchiladas. But let's go back to the beginning, or at least the beginning as I can find it. Built as a branch of California-based Sambo's (which had over 1000 in 47 states at its peak), the restaurant originally opened March 1974, replacing empty land. But in the early 1980s, Sambo's imploded. With mounting criticism from its name and theme by politically correct groups and problems stemming from a massive expansion, it filed for bankruptcy in 1982 and closed. No restaurant appeared to be in place by the time the 1983 phone book was published. In 1987, Wings 'n Things opened up by Mark Dennard. 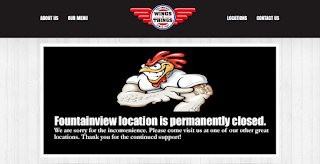 Apparently, this was related to the Houston-based Wings 'n Things as a franchise (or of the same corporate parent, seeing as how WnT opened the same year but for whatever reason, it fell through and Dennard renamed his restaurant in College Station to Wings 'N More soon after. It looks like it was founded at 2711 Fountainview, which was a Wings 'N Things just until this (re)writing in January 2017. I can't find a lot of details on the split, or how much Mark Dennard was involved in Wings 'n Things, but apparently it did happen and the restaurant was renamed. 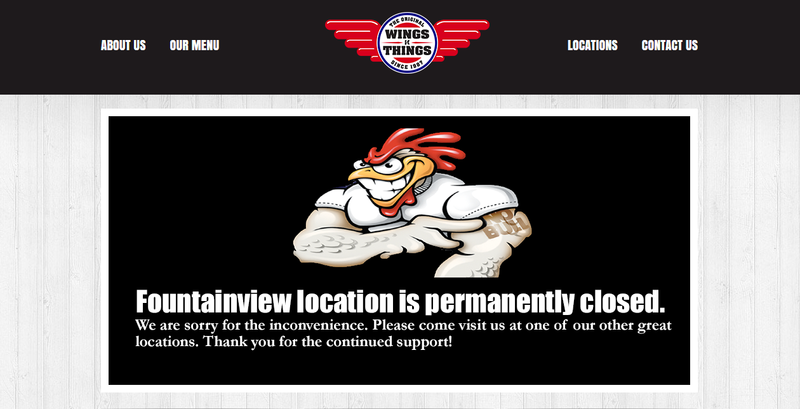 Mark Dennard never opened very many other Wings 'N More stores (one in The Woodlands, one in south College Station in toward the late 1990s) but was able to franchise Wings 'N More in Houston (where Wings 'n Things was based), and those restaurants later became BreWingz as that spun off. including winning Best New Restaurant in Best of the Brazos 2003 and Best Southwest Texas Cuisine a year later, it folded by 2005. It made no changes to the outside of the old Wings 'N More, and from what I've heard, not much to the inside, either (except adding some new Aggie memorabilia). The logo was a semi-provacatively-dressed brunette (wearing one a torn shirt that was basically torn and twisted into a short top) holding a plate. 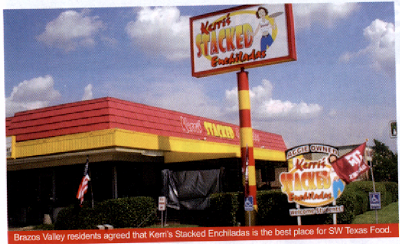 All that disappeared by 2005 when Kerri's closed down. After the restaurant closed, someone made some sort of bizarre Pac-Man graffiti on the roof, with (illegible) names next to Pac-Man and the ghost. I'm not sure what they meant, but with the highly visible graffiti, a nearby dead Mobil (which closed in about 2004), and the closed Texaco down from it, by mid-2005 it contributed to a feeling that the stretch from University to George Bush just started feeling really run-down. By January of 2006 (according to TexAgs archives, and sounds right in my memory), the building was torn down and a Raising Cane's was put in its place by summer. Raising Cane's actually has the date the store opened (June 2006) along with a little blurb about it. I wish more chains did that...that's really cool. You can see a picture of the building here that I took in May 2014. I love rosemary. It's native to Texas (in dry, scrubby areas), tastes good on chicken, and quite flavorful. 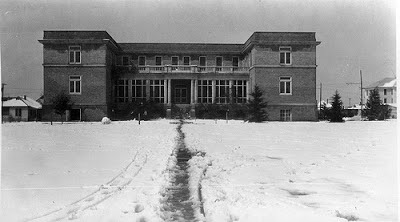 This post used to focus on Rosemary Drive, but I found that I really didn't have enough to write a good post, so I shelved what was here. Why don't you look a bit down the road, at the old Plaza Hotel? Out of date. Congratulations on finding this! It's 2012, and College Station-Bryan is still here. We hope that when College Station took over Wellborn, they did allow fireworks to some extent, as we all know how cities hate fireworks. I had a great time with them, and Zippers are awesome. But today, we're talking about the Next Great Thing in College Station-Bryan. And by "great", I mean "big", but it could be great. We've all heard about TAMU's "Health Science" corridor, but I feel that's mostly hype and will probably bring way more traffic for our poor little roads to hold comfortably, with the traffic resembling Houston-normal traffic, or a brutal "redevelopment", like turning Hopes Creek Road into a highway. Or something. Or for all we know, TxDOT could announce a toll highway that would upgrade 71/21 to a toll highway, connecting Austin and College Station to Interstate 45 (it COULD happen, though that would carry lots of negative consequences). Or perhaps the long-awaited Westinghouse site redevelopment? Maybe Holleman Drive South will be home to new retail, offices, restaurants and parks, bringing the city to the western residents before it becomes a student wasteland (if it hasn't already). This may be the year we get to see the Plaza Hotel imploded for that new redevelopment we were promised. This year may mean anything: we'll see what happens as the year progresses.